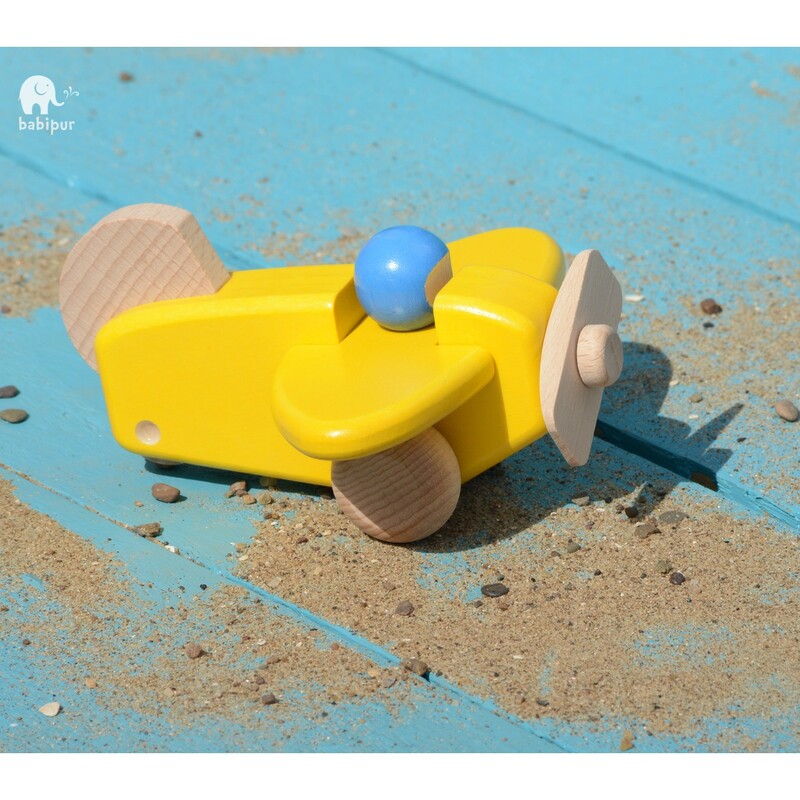 Mini aviation enthusiasts will love taking this painted mini airplane high up into the sky. 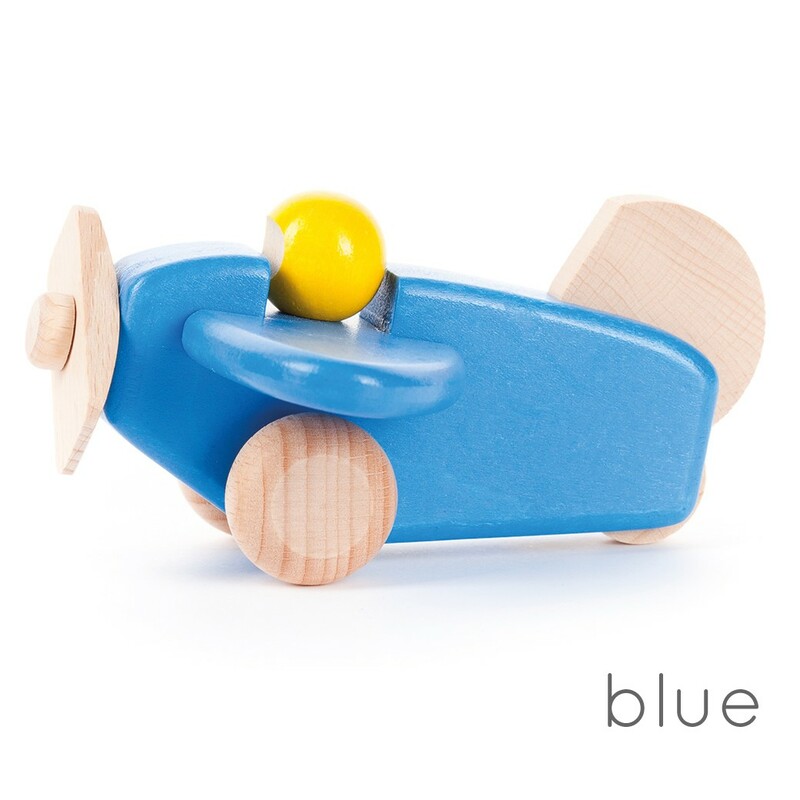 Made from solid wood, the propellers, tail and wheels are left natural, showing off the rich grain of the wood. 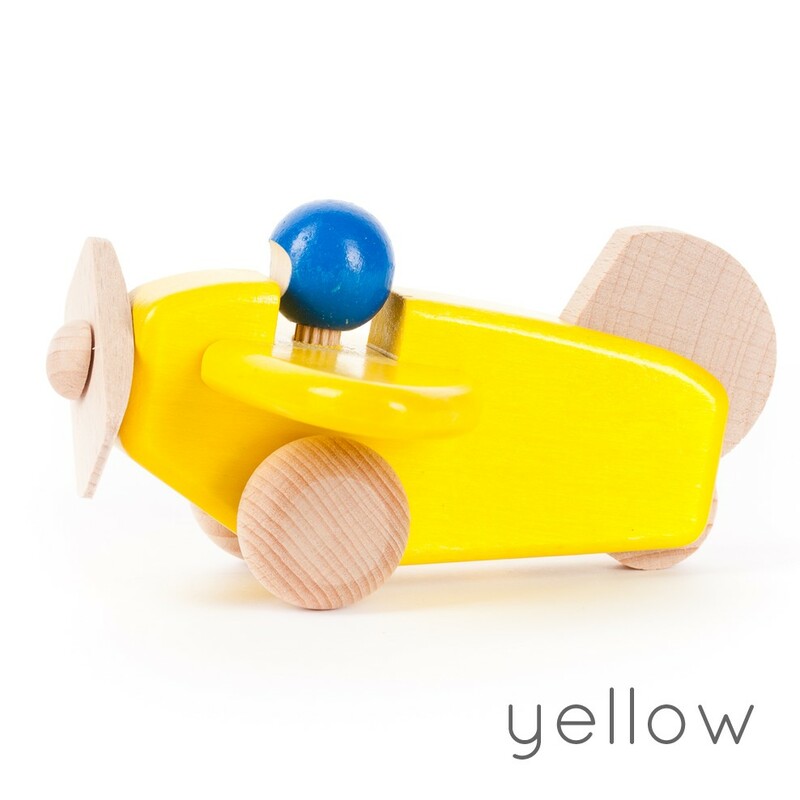 It has a little pilot in the cockpit, manning the controls. 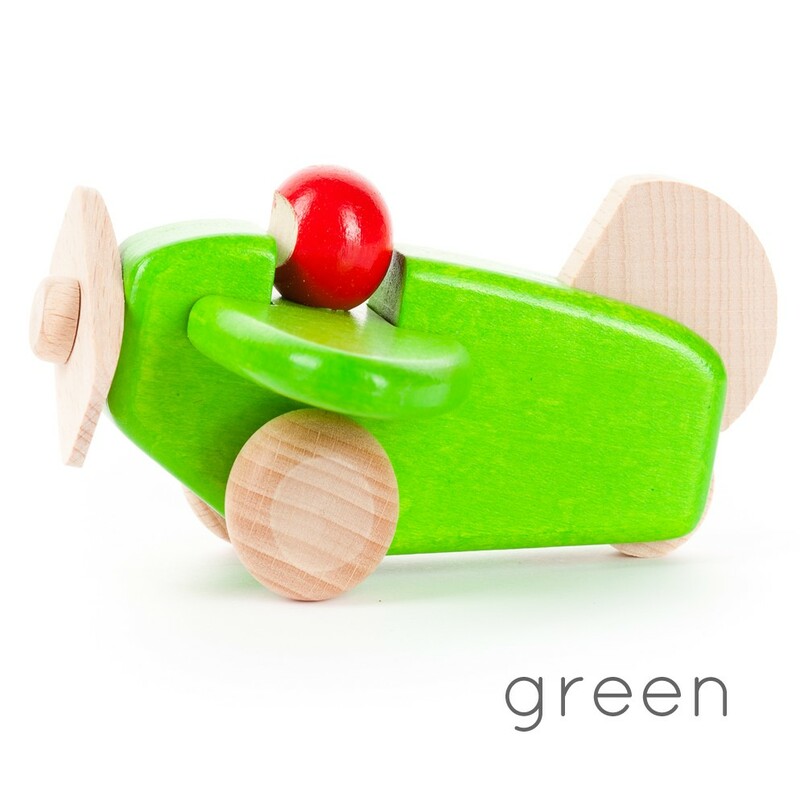 Race it across the floor before take-off. 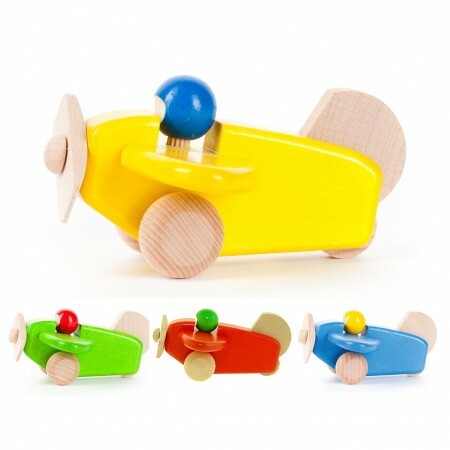 This classic toy will be a hit with vehicle-mad tots Just choose your favourite colour and take to the skies. 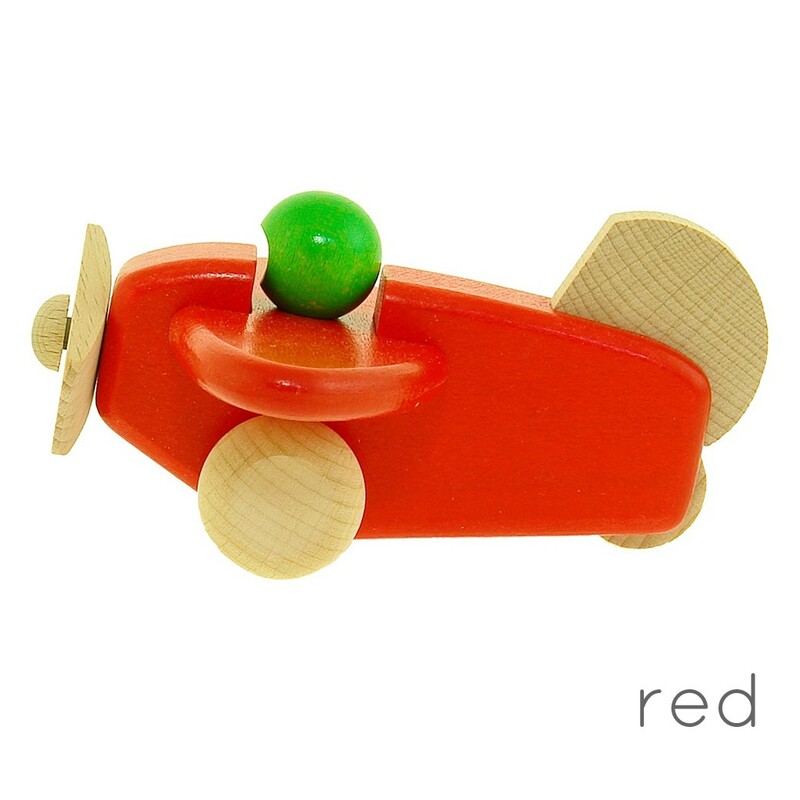 These planes are super small making them great for little hands and also nice additions to toy city play sets and airports. 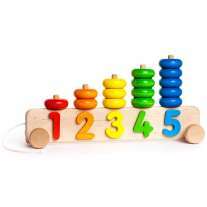 This toy measures 12cm x 10cm x 7cm.